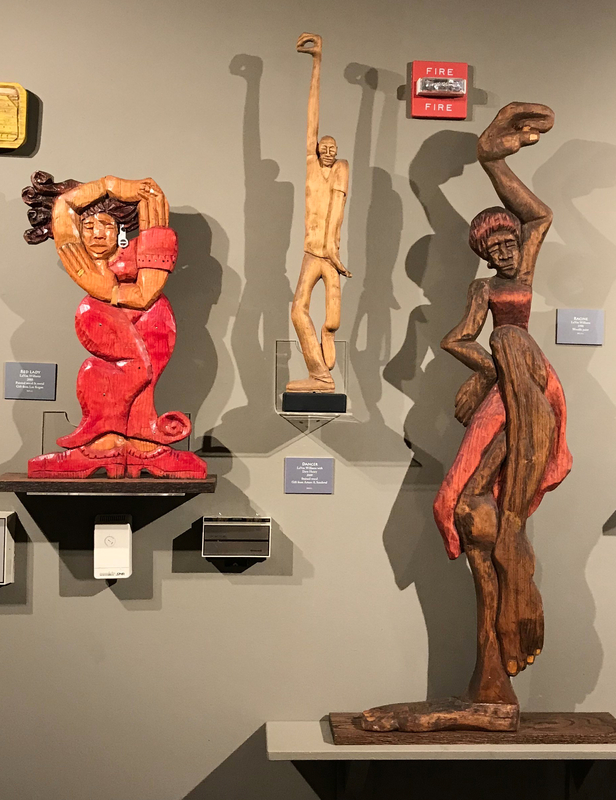 Left: Red Lady by LaVon Williams, 2018. Middle: Dancer by LaVon Williams with Dave Henry, 2009. Right: Racine by LaVon Williams, 1993(or 8).